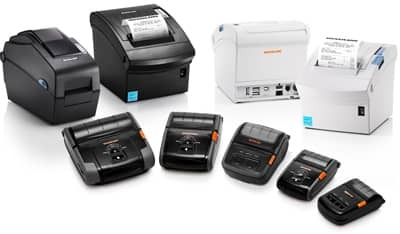 Bixolon, the global printing solution provider has a growing number of printers and hardware to help all types of businesses, large and small, complete orders and print receipts. By continually improving and innovating their printer technologies, they have created a large catalog of useful printers that may be hard to keep track of. POS Supply Solutions has created a specific Product Finder just for your Bixolon printers so that you can get exactly what you need no matter what model Bixolon printer you are using to run your business. POS Supply Solutions can also provide custom size, custom printed and specialty grades of paper rolls, thermal labels, tickets and tags. We can work with you to develop the media solution for your Bixolon printer. As always - we are here to help if you have questions! Call Us Toll Free at 888-431-5800 (M-F 8:30am-5:30pm ET). Call us at 888-431-5800 or email us .